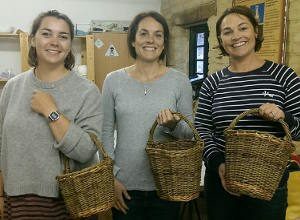 Hatton Willow is a small business committed to making quality willow baskets handmade using materials grown in the UK. 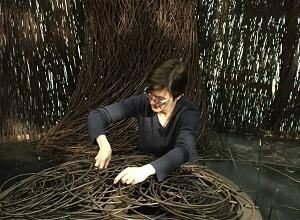 Based in the South Wales Valleys town of Caerphilly, famous for its Castle and cheese, we use the heritage craft of willow weaving to produce willow products using willow harvested yearly from our withy bed. It gives us a sustainable source of willow which is an amazingly flexible material and provides us with a source of willow cuttings, willow bundles and living willow that we offer for sale. Hatton Willow attend many events throughout the UK and can give a talk or demonstration and run a willow workshop at your event. Sarah Hatton of Hatton Willow recently appeared on the fantastic show The Repair Shop on BBC1 repairing an item that had a lot of sentimental value to it’s owner Jane. 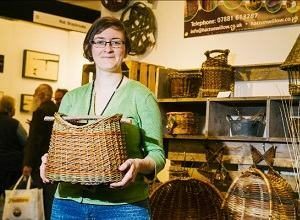 Through willow weaving courses we try our very best to spread the enthusiasm that we have for this beautiful traditional craft. 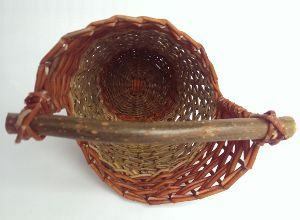 We sell a number of items within our shop including a variety of willow baskets, willow cuttings, living willow and a number of other items. 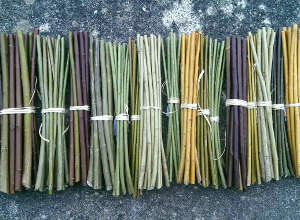 A large selection of willow cuttings grown on our smallholding in Caerphilly. Willows are freshly cut and sent through the post for you to enjoy your own crop of willow. During this garden themed course you will make an obelisk plant support to grow your sweet peas or runner beans and a trellis to train flowers up. Just in time for planting. I really enjoyed it and found the class quite interesting. I always wanted to work with willow but never managed the courage to just get up and go. 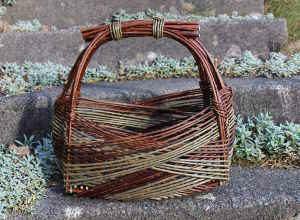 Mum and I loved our willow weaving course at Nantgarw China Works. Thank you ever so much, the Christmas decorations we made were amazing. Thank you Sarah, fantastic day at the Carers Day. Everyone really enjoyed the willow weaving. Great day learning how to make Christmas decorations with willow. Thanks Sarah! If you’d like to receive regular information from us please sign up to our newsletter. We hope you enjoy browsing through the website. Please contact us if you have any questions or queries.